Step into the beautiful world of Vincent Van Gogh. Create your very own muppet character. 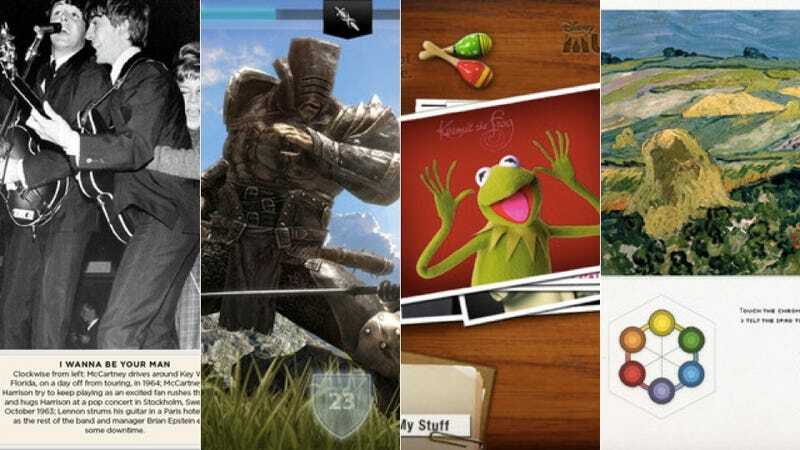 Rock out with the Beatles Album guide and Slice your way through Infinity Blade II.